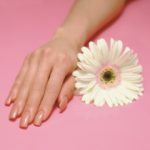 Softening your cuticles is one of the basic steps in treating your nails. You can simply have a manicure and pedicure or you can attach fake nails after. 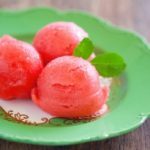 There are many options on how to make homemade cuticle softeners. The ingredients for this can be seen in your kitchen. So you don’t have to spend a couple of bucks just to have your cuticles softened. Who says having beautiful fingertips will make you spend lots of money? There are many ways on how to save money but still get the same effect that you want. The important part here is you should be sure on what you would use. Wrong ingredients may mean no good results or worst, you can damage your hands. So be sure to use the correct ones. Your cuticles can be taken for granted. These may be small but they protect your fingers from bacteria to enter your skin and nail base. So the correct way of applying the softener is important to ensure that your cuticles are healthy. Choosing the softener is also important because you have to be sure that the ingredients are safe for you. Harsh chemicals can damage your tips so better be sure. You need softeners rather than just using implements because your cuticles are dry hard skin. You need to soften them first to safely remove them and without getting hurt. Tip: Homemade cuticle softener can be prepared by mixing 1 tablespoon of pineapple juice, egg yolk, and 1 teaspoon cider vinegar. 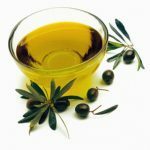 Tip: You can use 1 teaspoon of warmed olive oil after shower or bath and use your fingers to massage the oil in your cuticles. This is a natural softener and can work well. Tip: If you bought a cuticle softener, soak your fingers first in warm water before applying the softener. Make sure that you cover the entire cuticle area. Tip: Check the ingredients in the softener that you bought. There are harsh chemicals that are sometimes included in some softeners. Tip: Don’t forget to massage your tips when applying the softener that you have. Tip: You can add Vitamin E oil in your homemade softeners. This will maintain the good health of your skin. Tip: There are softeners that can easily remove your cuticles even with your fingers but there are some that you need implements still. Tip: Always consult a doctor if you notice some changes in your fingers and nails. Do not wait until it is in the worst stage. Doctors know what to do with infected fingers and nails so don’t hesitate to grab some help if you really need it. You can save yourself if you know how to seek some help. 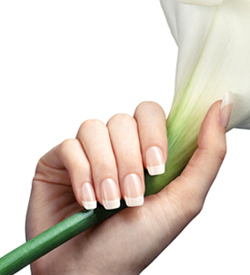 Give importance to your cuticles because they play an important role of protecting your nails and skin from bacteria. They should be taken care of and not take for granted. They may be small but they play big. Choose the best softener for you that would suit your needs. Make sure that your cuticles are healthy in order to prevent infections.